About Tin Mill Brewing Co. 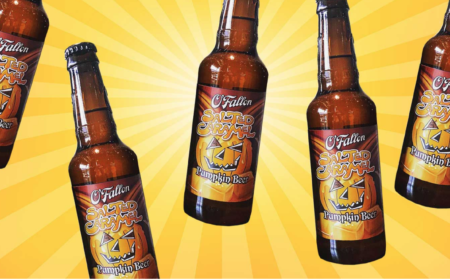 Located in the very German town of Hermann, Missouri, Tin Mill Brewing Company occupies a 100-year-old tin mill, and is fully committed to offering the most authentic German-style brews possible. They even follow the Reinheitsgebot, or German Purity law, to the letter, using no corn or rice in their beers, ensuring authentic flavors akin to Bavarian signatures. Even the ingredients are top notch, with barley that is grown and malted in the homeland, imported copper brew kettles, and brewers that use the traditional German methods–including aging beer in the cold for an additional period of time–to give them a clean finish and authentic German taste. Free open house for prospective & current students and the community to learn more about SLU's brewing science and operations certificate. The Greater St. Louis Metro Area currently has over 60 breweries and even more to come. When planning a visit, please note that not every brewery offers tours or has a tasting room/restaurant, and hours of operation vary. For the most up-to-date information, visit individual brewery websites or call ahead.